We are excited to offer our new Pilates classes, run by experienced instructor, Jane Hamilton. This class is a progression from Pilates Mat Work. It is an intermediate class level due to the level of balance and deep core awareness required! ​It is a combination of Pilates exercises using foam rollers to enhance Posture, Core Strength, Balance and Stability. Perfect for Body Toning. 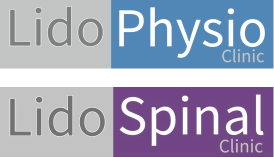 ​A one to one session, to include a ViMove Spinal Movement assessment, is required before joining the class. 1. Warm up: Basic Pilates principles, breathing, pelvic, shoulder, rib and neck alignment. 2: Circuit of 6 exercises, of approximately 3 rounds. ​Booking in advance is essential to secure a place and ensure the supply of rollers. Class of 8 people max. First course of 6 sessions to begin Thursday 14th April 2016. Jane Hamilton is Jersey born and has been in the fitness industry for 25 years. She is a full time personal trainer and a qualified Stott Pilates teacher. In 2005 Jane qualified as a Hatha Yoga teacher in Manly, Sydney and has a passion for Ashtanga (Power) Yoga. She loves Australia, surfing, skiing and tennis. Her teaching style is precise, fun and athletic.